Treadmills are convenient but many people find them a boring way to work out. Many of us have treadmills in our homes. 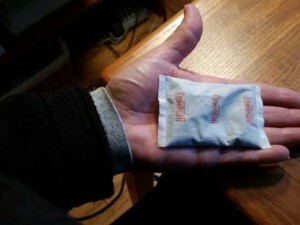 You can pick almost new ones up for a song on Craigslist and save the cost of a monthly gym membership. You don’t have to put on special workout clothes. Whenever you have a spare few minutes throughout your day, you can get some steps in. On cold and rainy days, it is easier to hop on a treadmill to workout. No fighting the elements. 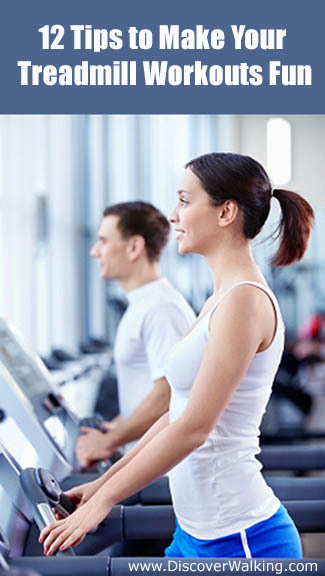 On vacation, many hotels have treadmills in their gyms so you don’t have to miss your workout while travelling. If you prefer to get out of the house, almost every gym has treadmills. However, many people find treadmill workouts boring. With our 12 tips, you will start to look forward to your treadmill workouts. Rain or shine . . . you can get in your daily steps. Here are 12 ideas to turn boredeom into fun and productive time. 1. Listen to audio books on tape. A great murder mystery will keep you walking to discover “who done it.” Sign up for Audible, download free/paid books from the web or checkout audible books from your library. Podcasts, YouTube videos and apps are great for learning while you walk. 4. Have a favorite tv series? Only watch the series while working out on your treadmill. A friend works out 6 days a week to movies at his gym. He has lost to his goal weight and keeps us up to date on movies worth seeing. You can do the same with DVD’s, tv movies, Netflix streaming or downloads. 6. Crank up your iPod and dance walk your way to fitness. You can’t be as extreme as Ben Aaron on the streets of New York but you can pick up your steps and do Zumba arm moves. Ben’s blue suede happy feet will make you laugh and inspire you to dance walk. 7. Prop up a book or your Kindle app to read on your treadmill. You will add miles without thinking about the time. 8. Work while you treadmill. 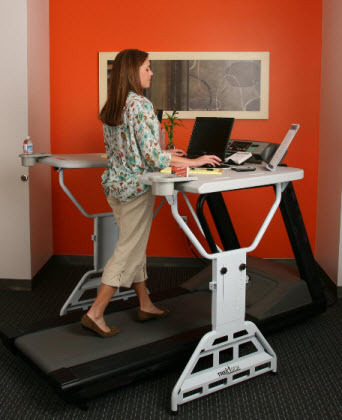 Many people add treadmill desks to their treadmills and workout while they work. You can’t run fast but you can go the distance. Click here for Amazon pricing and reviews on TrekDesk Treadmill Desks. 9. Talk on the phone. Lengthy phone calls to family and friends can be an opportunity to walk. 10. Try an interval workout. Change your inclines and speed to break up the monotony. 12. Learn a new skill. Treadmill walking is a perfect time to increase your knowledge. For example, I love to watch YouTube videos on Photoshop tricks, develop my web skills, learn photography tips, brainstorm article ideas, study graphic designs, compile favorites in Evernote, etc. You can accomplish more productive tasks on a treadmill than you can walking outside. Experiment and have fun trying out new experiences each day. Have you found any other ways to make your treadmill time fun and less boring? Share your tips in the comments below.